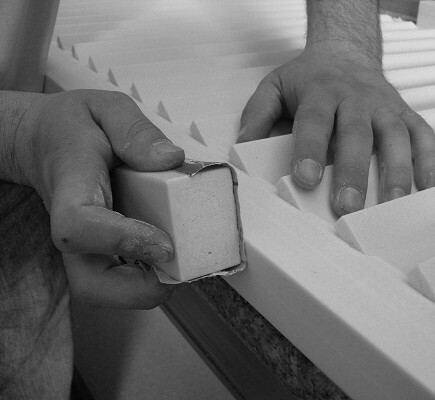 Individually hand crafted 'synthetic wood' shutters that look, weigh and feel like timber. Scroll down to see more information on this product. A modern and innovative shutter design with adjoined louvre blades recessed into the depth of the frame and set into a horizontal position. 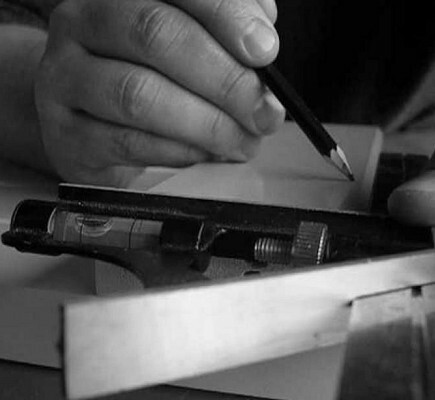 There are no gaps between each blade to replicate a typical 'faux' louvre style. Kilverstone Town & Country shutters are constructed from a blend (patent pending) of polymers that replicate the weight, feel and appearance of wood but without any of the maintenance issues associated with timber. We call this material synthetic wood. Town & Country Synthetic Shutters feature a 10 year guarantee on the body and a 5 year warranty on the paint finish. Fully maintenance free, Town & Country synthetic shutters will not require further painting although they can be painted should you want to change the colour. Click on the diagram to the right for complete Kilverstone shutter component dimensions. 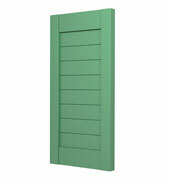 Town & Country 'synthetic wood' shutters are all handmade to order. 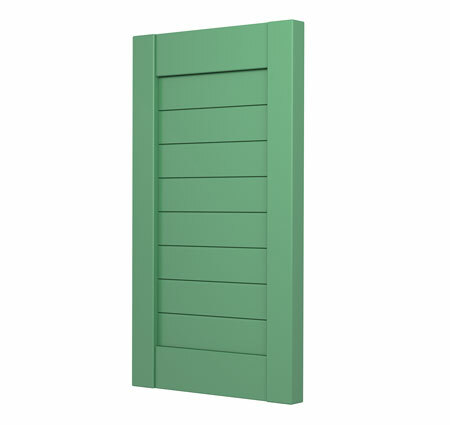 Both the width and height of the finished shutter can be customised to your specific requirements. If you require a feature that is not shown please give us a call? Each individual shutter is available in any width up to 800mm (31.5") and any height up to 3000mm (118"). These beautiful shutters are available in white gloss, satin black, primed finish and custom colour options. They are at least 33% cheaper than an equivalent seasoned hardwood shutter and will pay for themselves time and time again over lifetime of ownership in maintenance cost savings. For a live quote on our Town & Country shutters, simply visit the page for the relevant range using one of the links above. You can download a PDF Town & Country brochure here. If you have any further questions, just call us on 01842 814260 or use our contact form to get in touch. Prices shown above are for the first item in your order. Add £10 for each additional item. Note that a pair of shutters is 1 item. All orders are dispatched in 6-8 weeks. Your card is not debited until day of dispatch. 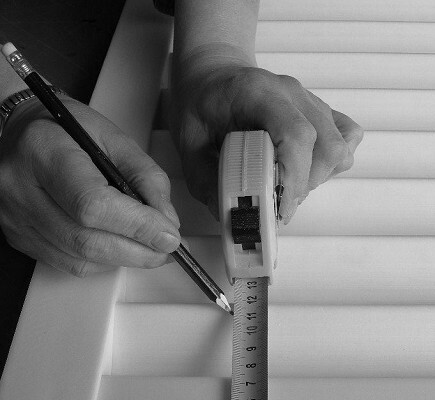 All Town & Country shutters are hand built to order by our experienced carpenters. 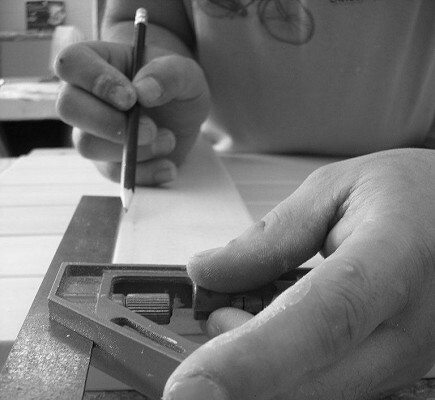 The method of construction used is the same as a conventional timber shutter. The finished shutter(s) are then sent off for painting in a durable paint that will never come off. Because of all the 'love & attention' that Town & Country shutters receive please allow 6/8 weeks for your order to be built, painted, packaged and dispatched. Prior to painting any Town & Country shutters in a custom colour, we shall first supply a spray out(s)* of the chosen colour for your approval on hue, shade and gloss level/ sheen. Only after approval has been given will the paint will be ordered. *A spray out is a postcard piece of plastic that has been painted in the nominated colour.